I’m pleased to be partnering with HotelsCheap.org who have not only written this great blog post for your pleasure today, but who are offering a special discount to Cooking with Michele blog readers – you can get an additional 10 percent off HotelsCheap.org’s rock-bottom rates if you redeem your promotional code here before June 30, 2014. Just enter COOKINGWITHMICHELE10 when prompted for your Active Discount Coupon Code. **********************************************If you’re looking for a real challenge, try to pick just three Italian destinations for the perfect summer vacation. Almost every Italian village, town, city, and region has a wealth of attractions amid settings of spectacular natural beauty. That said, what follows is hardly a definitive list of places to go but rather a tiny sampling of all that Italy has to offer. For our summer hotel picks, we’ve selected three fairly diverse locations – Ventimiglia on the Italian Riviera, Lake Como in the northwestern corner of Lombardy, and Florence, widely considered to be the birthplace of the Renaissance. Each has its own special charms, and each showcases yet another facet of Italy’s broad appeal to vacationers. To give you an added incentive to start your vacation planning now, HotelsCheap.org is offering a 10 percent discount on vacation bookings for followers of Cooking with Michele. 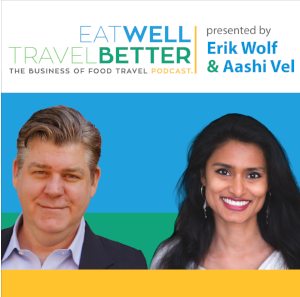 Whether you are inspired to include one of the hotels profiled below in your vacation plans or plan to travel almost anywhere else around the world, you can get an additional 10 percent off HotelsCheap.org’s already rock-bottom rates if you use the coupon code COOKINGWITHMICHELE10. The coupon code is valid through June 30, 2014. 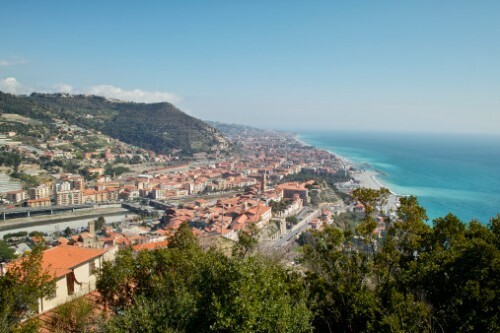 Ventimiglia on the Italian Riviera is roughly equidistant from Monte Carlo to the west and San Remo to the east. A city of roughly 26,000, Ventimiglia is less than five miles east of the French border and is the western outpost of the Italian Riviera, which extends along the coast of Liguria to La Spezia in the east. Once the stronghold of a Ligurian tribe known as the Intemelii, the area fell under the control of the Roman Empire in 115 B.C. Clinging to the hillsides rising steeply from the city’s waterfront are the ancient buildings of the old city’s medieval center, which look down upon the new city center. Ventimiglia’s location along the azure waters of the Gulf of Genoa make it a popular destination for summer vacationers, and the city’s popular Friday street market near the waterfront attracts visitors from all over the French and Italian Rivieras. Perched high on a hill, La Riserva di Castel d’Appio offers guests stunning views of the sea and the city’s business district. Open from early April until early November, the romantic inn has 12 air-conditioned rooms and suites, all of which feature Wi-Fi, flat-screen satellite TV, minibars, in-room safes, and 24-hour room service. Most units have balconies. En-suite bathrooms have complimentary toiletries. Room rates start as low as $146. Other amenities at the hotel include a seasonal outdoor swimming pool, fitness center, computer station off the lobby, a game room, and complimentary breakfast. The on-site restaurant specializes in locally harvested seafood. Guests can also relax with a cocktail or soft drink at the hotel’s poolside bar. 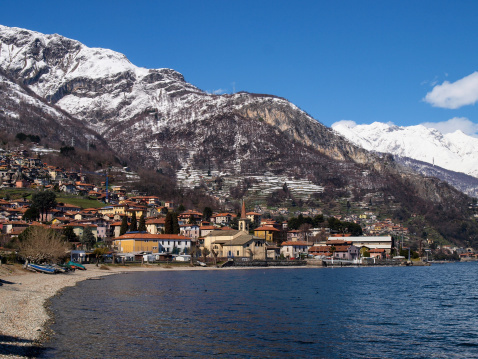 Snow-covered mountains provide a scenic backdrop for the town of Menaggio along the shores of Lake Como. Lake Como in the northwest of Lombardy covers more than 56 square miles and is the country’s third-largest lake. Ringed by mountains, the sprawling lake is a popular summer vacation destination, and along its shores sit the vacation homes of numerous international celebrities, including George Clooney, Richard Branson, and Donatella Versace. Despite the nearby mountains, the villages and towns around Lake Como enjoy mild temperatures year-round, mild enough to allow the year-round growth of tropical and subtropical plants. The warming effects of the lake’s waters help to keep winter temperatures from plunging too low. Grand Hotel Menaggio overlooks the waters of Lake Como in the town of Menaggio, which lies along the lake’s western shore at the mouth of the Senagra River. The four-star property has 94 air-conditioned guestrooms and suites, all with satellite TV, minibars, and in-room safes. En-suite bathrooms feature hair dryers and complimentary toiletries. Hotel rates start at $188 per night. Hotel amenities and services include a seasonal outdoor swimming pool, fitness center, currency exchange, 24-hour front desk service, room service, airport shuttle, and free parking. The hotel can arrange day trips to nearby attractions, including Saint Moritz across the border in Switzerland and the city of Bergamo, which lies roughly 75 miles to the southeast. Hotel guests who’d like to dine in can choose between the hotel’s Clio and La Veranda restaurants, both of which serve regional and international specialties. 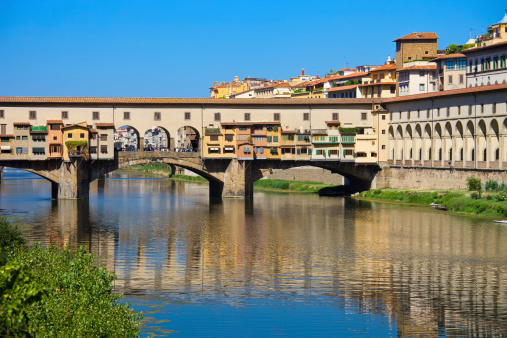 The shops of goldsmiths and jewelers line Florence’s famed Ponte Vecchio, which spans the Arno River. Capital of Tuscany, Florence first came to prominence as a center of medieval European trade and finance. Its years under the rule of the Medici family witnessed a blossoming of the arts, driven in large part by the patronage of Medici family members. Of all the Medicis, perhaps the most influential patron of the arts was Lorenzo, who commissioned works by Botticelli, Michelangelo, and Leonardo da Vinci. The city is a repository of some of the greatest examples of Renaissance art and architecture. At its center sits the Basilica di Santa Maria del Fiore, known locally as Il Duomo, the mother church of Florence’s Roman Catholic archdiocese. The massive cathedral was built across a span of 140 years (1296-1436) and features a dome engineered by Filippo Brunelleschi, one of the greatest architects and engineers of the Italian Renaissance. Within walking distance of Il Duomo sits the four-star Hotel Kraft Firenze, which features rates starting as low as $173 a night. The hotel’s sleekly contemporary interior is a pleasant contrast with its Beaux Arts exterior and the relics of the past that line nearby streets. The hotel’s rooftop garden, terrace, and swimming pool offer spectacular views of the city and the Arno River, which flows nearby. The five-story hotel has 77 air-conditioned rooms and suites, all with Wi-Fi, LCD TV, minibars, safes, and direct-dial telephones. En-suite bathrooms feature shower/tub combinations, complimentary toiletries, and hair dryers. Among the hotel’s other amenities are concierge and babysitting services, a bar/lounge, and parking facilities. Terrazza Rossini, the on-site restaurant, is on the hotel’s fifth floor and offers stunning views of the city center. 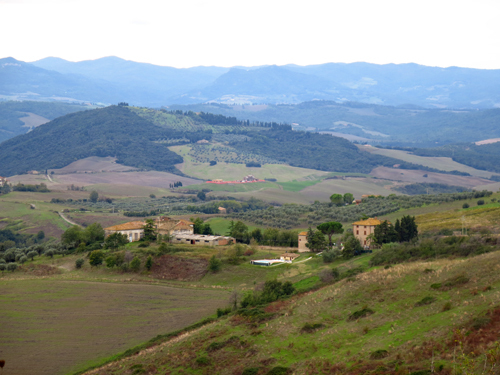 It specializes in the regional cuisine of Tuscany. Whether you decide to book a stay at one of our profiled hotels or opt instead for another destination altogether, you can get an additional 10 percent off HotelsCheap.org’s rock-bottom rates if you redeem your promotional code here before June 30, 2014. Just enter COOKINGWITHMICHELE10 when prompted for your Active Discount Coupon Code. Don Amerman is a travel expert based in Florida and Pennsylvania. He has traveled widely across the United States and overseas as well.